Safariland US Military MOLLE Leg Vest Pack Gun Holster Adapter Plate Kit 6004. Made in USA. 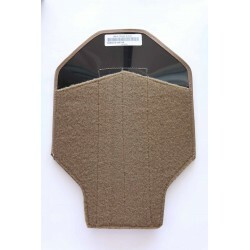 Official US Military Safariland Molle Adapter Plate Kit. 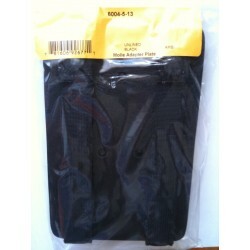 This adapter plate kit is made to convert most 6280's or 6004's from duty holster to the Molle system. 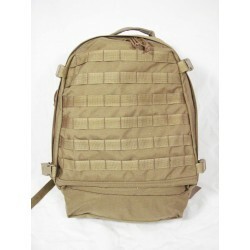 This allows you to attach your gun holster to your Molle compatible vest or backpack. Will only work with the new 3-hole pattern holsters. 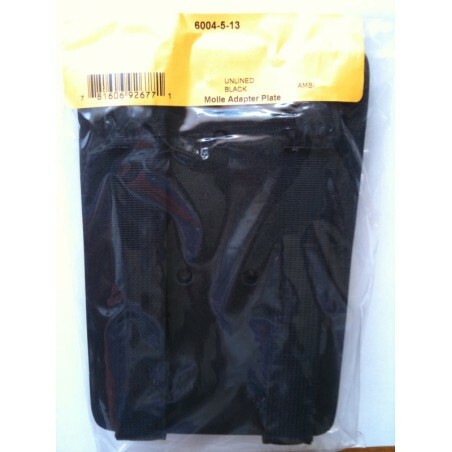 Condition: New Style #: 6004-5-13, UPC 781606926771 Color: Black Brand: Safariland Approx size: 7.7" H x 5" W.